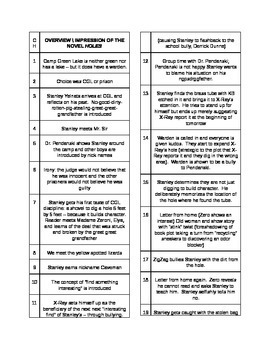 This is a two column Word handout of a chapter by chapter survey, NOT a summary. 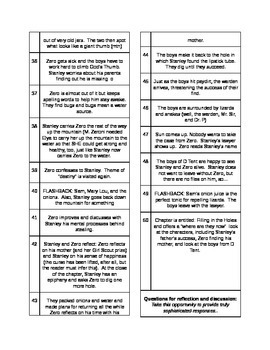 The difference is that it helps students stay on top of their reading without providing key details that might otherwise either be spoilers or allow them to cheat on a test. Response questions follow. 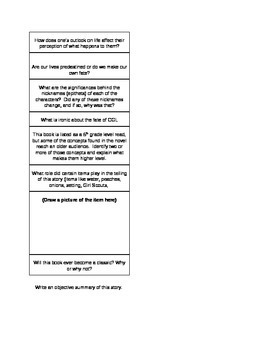 Determine a theme or central idea of a text and analyze its development over the course of the text, including its relationship to the characters, setting, and plot; AND provide an objective summary of the text.